10 Strait Street takes its place in the revival of an iconic quarter of Malta’s capital Valletta, breathing new life into the soul of 2018’s European Capital of Culture. 10 Strait Street gives you a home away from home. 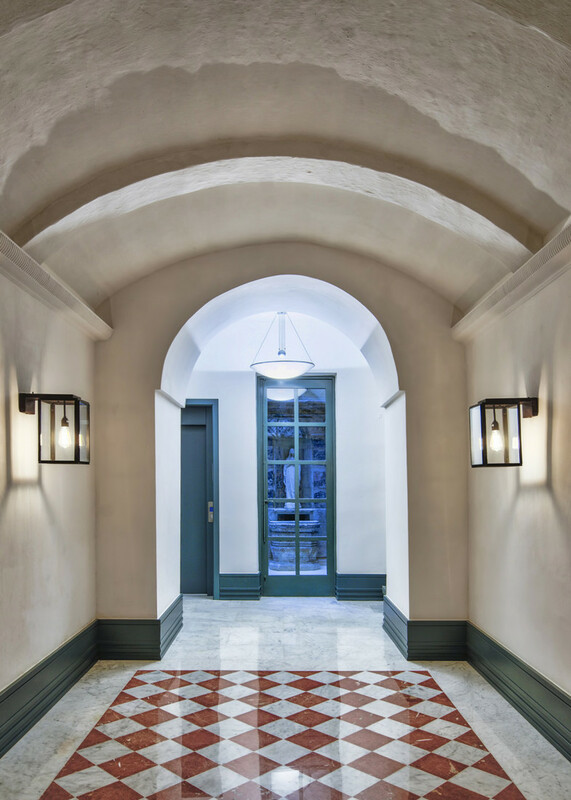 We offer a collection of six beautifully furnished apartments in a painstakingly restored palazzo. The apartments are a tribute to Valletta’s history and its heritage of excellence. They combine space and elegance with comfort and privacy for independent travellers seeking to experience Valletta’s authenticity. 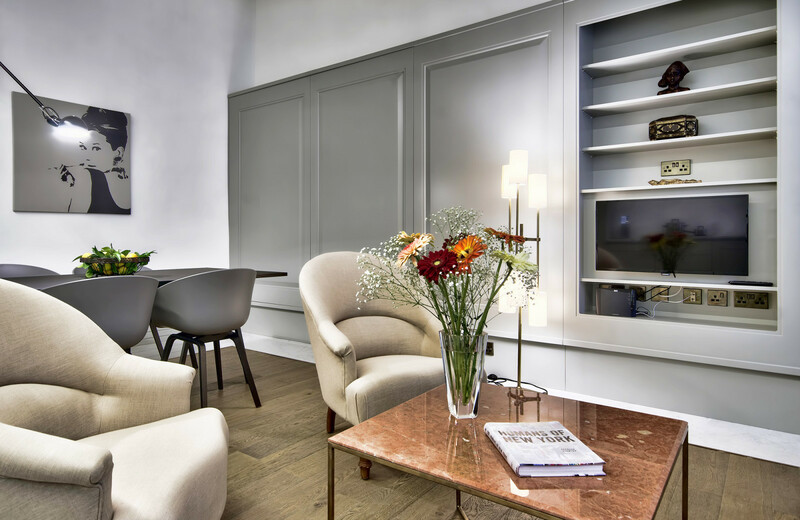 In keeping with the spirit of the location, 10 Strait Street is at once modern and functional, romantic and traditional. 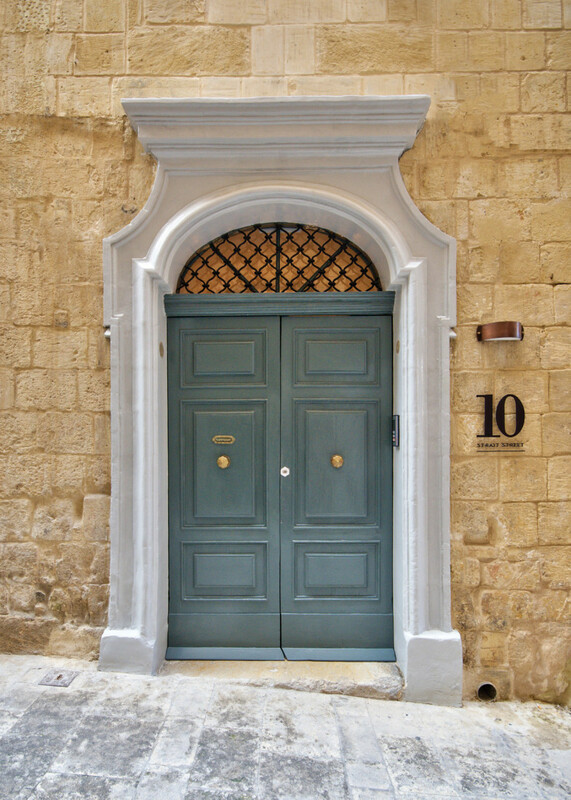 The property’s position in Valletta is excellent, one street parallel to Republic Street and a minute’s walk from Renzo Piano’s City Gate and Parliament building. There are numerous restaurants and well-stocked wine bars a stone’s throw away and many places of interest. 10 Strait Street features one- and two-bedroomed apartments and a two-bedroomed penthouse surrounded by spacious terraces with panoramic views of the city and the Mediterranean. 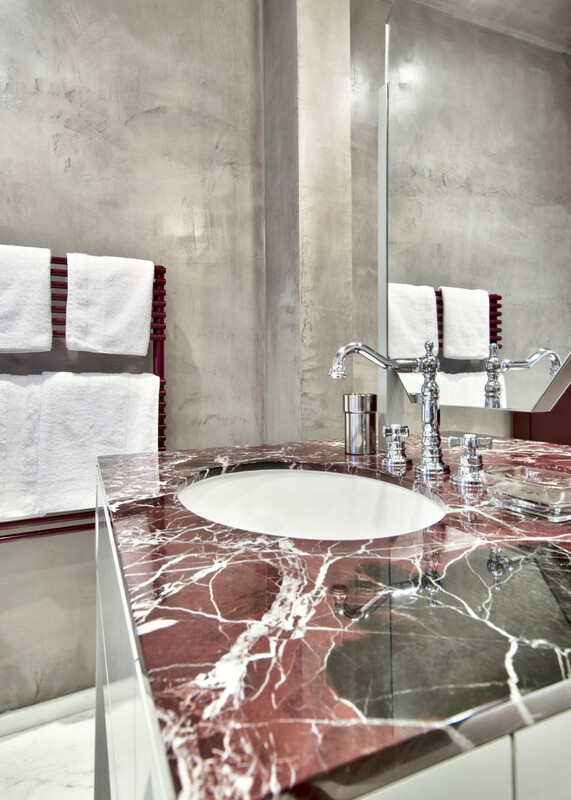 All apartments are exquisitely finished in marble and parquet flooring, with fitted carpets in the bedrooms, wi-fi and air-conditioning throughout and are provided with Cable TV. 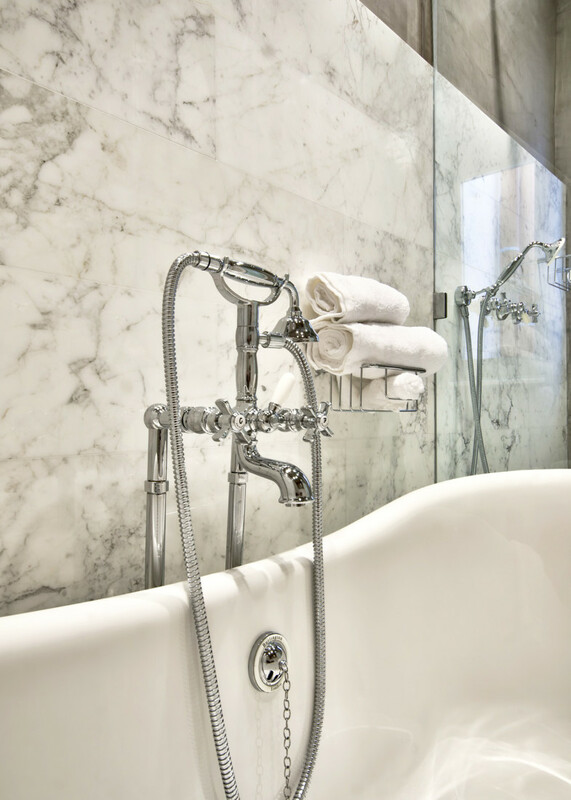 Each main bedroom has its own bathroom with freestanding bathtub and underfloor heating. Second bedrooms have separate bathrooms with shower. 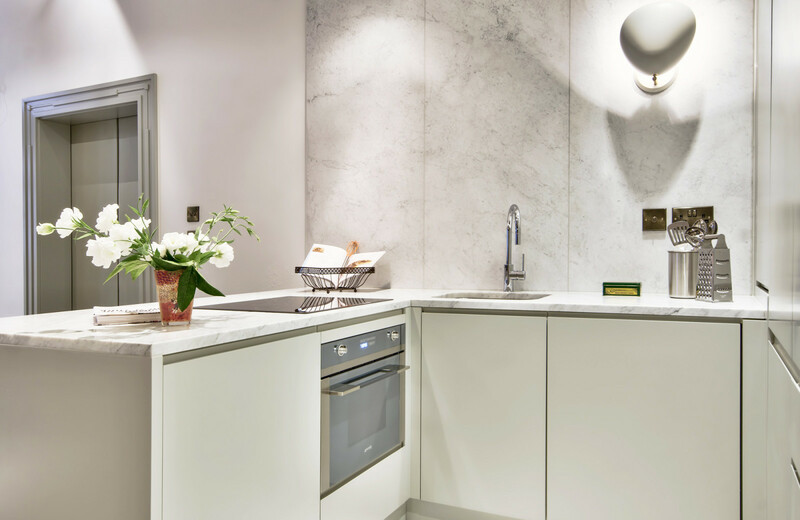 Kitchens are fitted with an electric hob, dishwasher, microwave oven and fridge freezer. Standard arrangements include weekly housekeeping and linen change. Personal laundry service is available on request. Extra luggage storage is available if required. Pets are not allowed. Check-in and check out time are usually 2 p.m. and 11 a.m. respectively, but we will do our best to accommodate our guests’ arrival and departure times when possible. Each apartment, and the common areas are fully compliant with required safety standards established by the Malta Tourism Authority. All are equipped with fire extinguishers, fire blankets, first aid kits and smoke alarms.